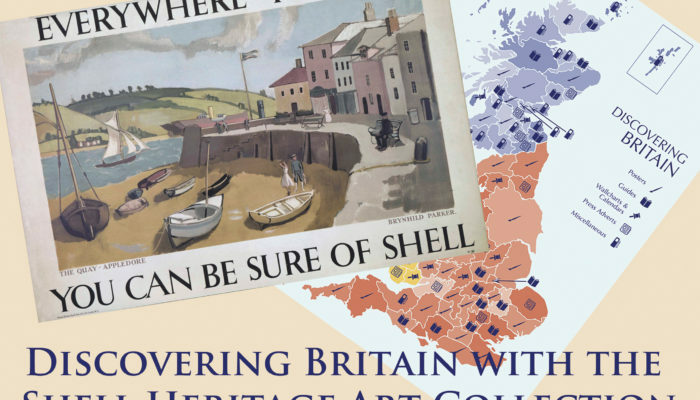 The Shell Heritage Art Collection is one of the most important collections of commercial art in Britain. It spans the period from the 1900s to the 1980s and contains some of the most memorable advertising ever produced in Britain. The earliest items in the collection are charming postcards dating from the early 1900s. The lively and colourful illustrations refer to events of the time and capture the spirit of the period. 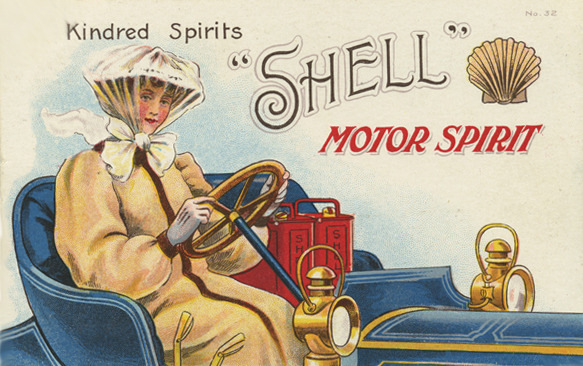 From vehicles of a bygone era to the endorsement of women’s rights, Shell’s wit and vision illustrates a charming and innocent period of motoring history, in a uniquely English manner. 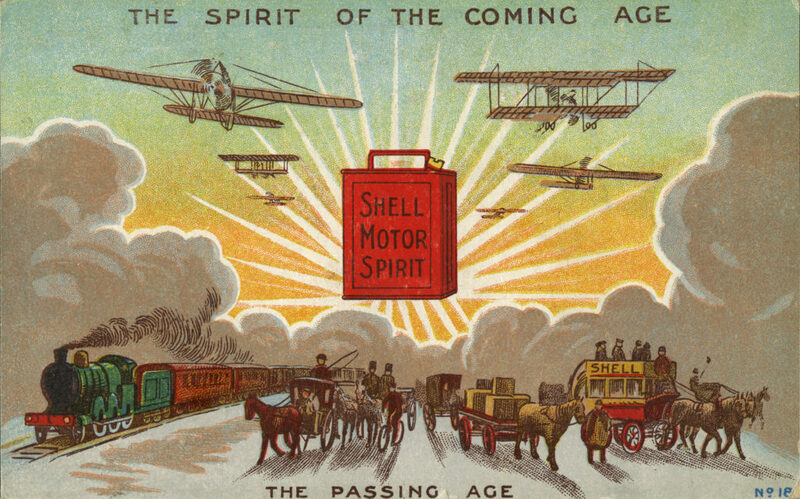 For more information about Shell postcards, visit A R Postcards which features over 150 examples. 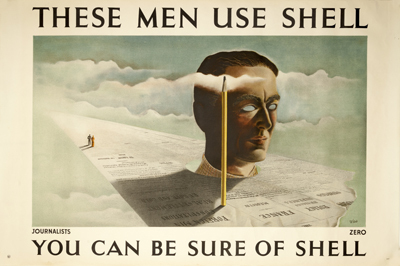 Posters are characteristic of Shell’s advertising during the 1920s and 1930s. 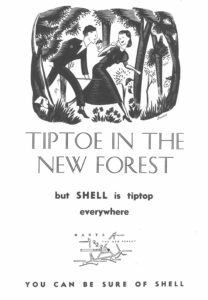 A list of artists not instinctively associated with commercial art were commissioned to convey simple messages for Shell’s poster advertising. 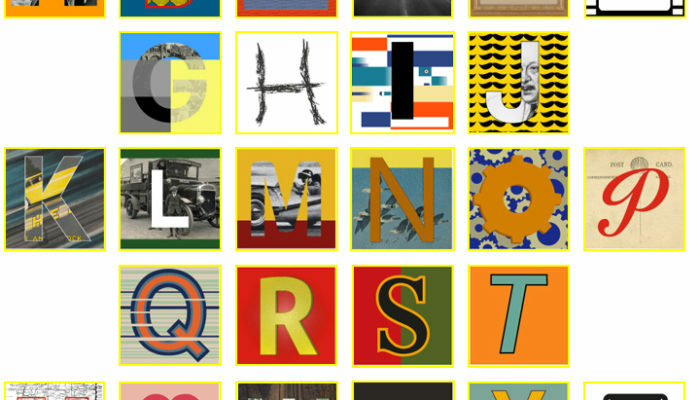 These artists went on to become famous names in British contemporary art, including Paul Nash, John Piper, Vanessa Bell, Ben Nicholson and Graham Sutherland. There are over 7,000 printed posters and 1,000 original art works in the collection reflecting the charm and character of a nostalgic age of motoring. 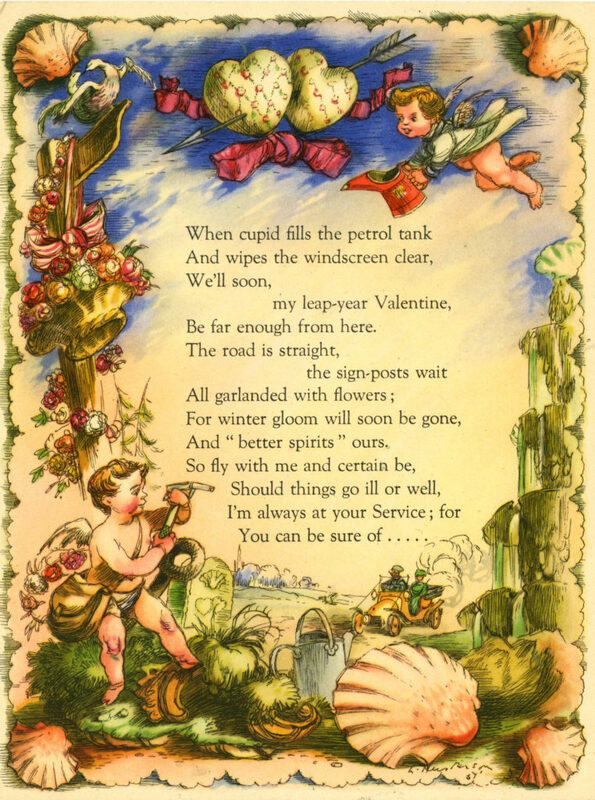 Shell’s interest in Valentine Cards began in 1938 with the innovative idea of sending Valentine greetings to lady customers, a tradition that continued until the 1970s. In 1964 Shell acquired 200 cards from The Valentine Shop in the Strand, London. This collection now traces the history of the Valentine from the early 19th century onwards, and contains romance, sentiment and gushing sincerity. In contrast there are also satirical cartoons and cruel verse, expressing the bitterness and disenchantment of loves lost. From the 1930s to the 1980s, innovative writers, artists, designers and academics were commissioned by Shell to produce modern and comprehensive guides to the counties of Britain. In the 1930s, the editor of the guides, John Betjeman, gathered together a mixture of young artists and authors like Paul and John Nash, Robert Byron and John Piper. 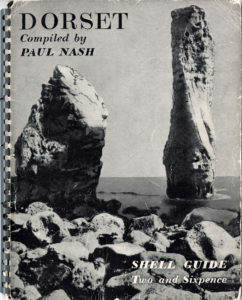 The Shell Heritage Art Collection houses a comprehensive list of Shell Guides as well as Shilling Guides and other Shell publications. From the 1930s to 1950s Shell produced humorous press advertising illustrated by celebrated cartoonists and illustrators including Rex Whistler, Edward Bawden and Mel Calman. The History of Advertising Trust also houses an extensive collection of Shell’s press advertising from agencies such as Colman Prentis and Varley, Ogilvy & Mather and J. Walter Thompson.